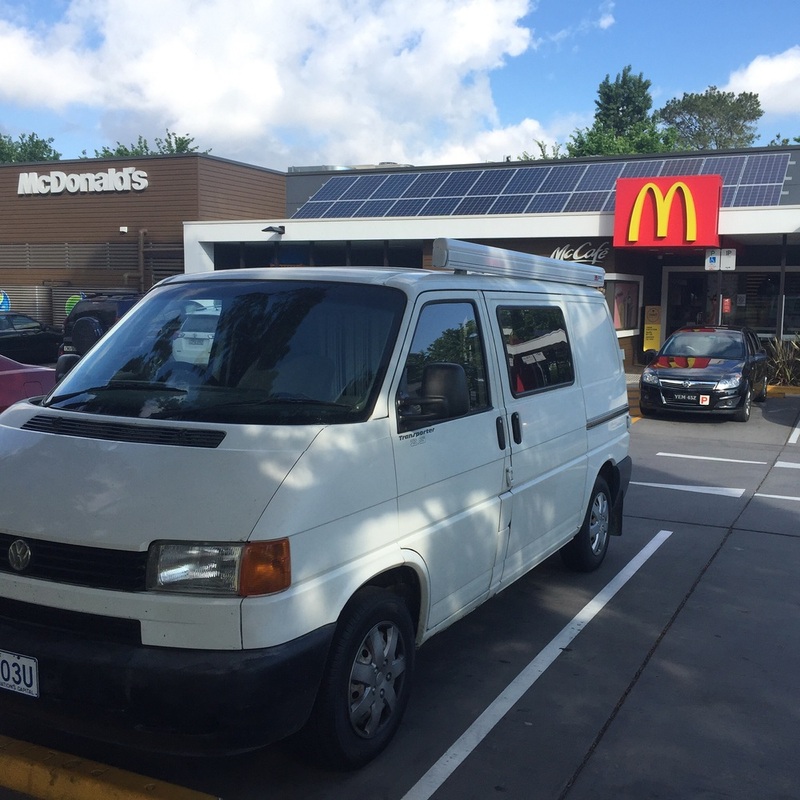 The van is sold, and already on her way to Byron Bay with her new owner! The Australian winter is upon us. When the heater controls died I have not replaced them, opting for the manual control change over using a pair of pliers, I show you how in this video. December has seen some big changes as every month seems to. I have added an additional 100ah 12v AGM with some new fusing options. There is now a fuse between the 2 batteries 50amp resettable, along with another 50amp resettable between the batteries and the load distribution fuse panel. I also managed to snap up a 1000w pure sine inverter during the christmas sales - I haven’t managed to install it yet however I am thinking of just putting an anderson plug and use it occasionally. The Mystery Bay Camp site is a bush campsite in a eucalyptus forest surrounding the bay. The site consists of long drop bush toilets and cold showers dotted around. We set up a tent to use as storage and to save our space as the camp site was so busy and we didn't want to come back and find others in our site. As there is no Optus connection available, we used a prepaid $2 Telstra sim card in a wifi pod so we could we could still contact my family who were travelling for the christmas holidays. Our days were filled with exploring the surrounding coast line, eating local seafood and sunning ourselves on the beach. I could have guessed that it was all going too well! Coming back from coast, top of Clyde mountain we burst a coolant pipe. As I sit here looking back over the progress on the van since we purchased her (it?) since August I am astonished with the changes. Full electric fit out, mattresses, storage, mechanical. All have been completed in this short time. Never being one that believes in starting slow, her maiden voyage was a 2 night, three day, 800km long weekend. Canberra to Bombala via Cooma was the first leg, camping just outside the town at a river known for its frequent platypus sightings. Sadly the river was up and not fury friends were sighted. Being our first night we wanted to stay away from other people and chose to free camp, having a fully self sufficient. The main learning we had from the first night was - sleep with your head to the back - while the fridge is quiet it does start for 2-3 min every 30 minutes. With your head at the rear you do not hear it at all. We were up early and left our little river side spot, stopping at a local rest area to clean up and make breakfast. Nothing done by halves with Frankie on board. Toasted croissants with ham and cheese. By lunch time we had already arrived at our next overnight spot - Mallacoota, the northern most town on the coast in Victoria. Opting for a powerless site a the local van park that dominates the towns estuary foreshore allowed us to have near uninterrupted water frontage. Why pay for a powered site when we make our own! All in all it was an 800km 2 night 3 day shake down. We worked out what worked well and what needed improving. But more on that, next time. So this this month saw the conclusion of a number of projects I had been wanting to bowl over. I rewired every circuit in the house battery (second battery for the muggles). Adding a fuse block and a master 50A fuse. I also added a voltage sensing relay between the van's alternator and the second battery to charge while driving. 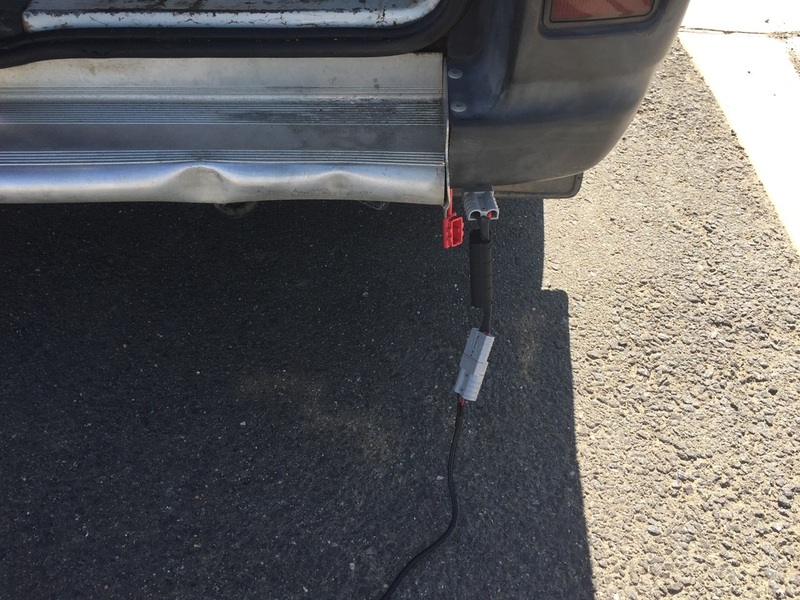 I installed an Anderson plug on the exterior of the van to allow hookups to external solar panels when the van is in the shade. 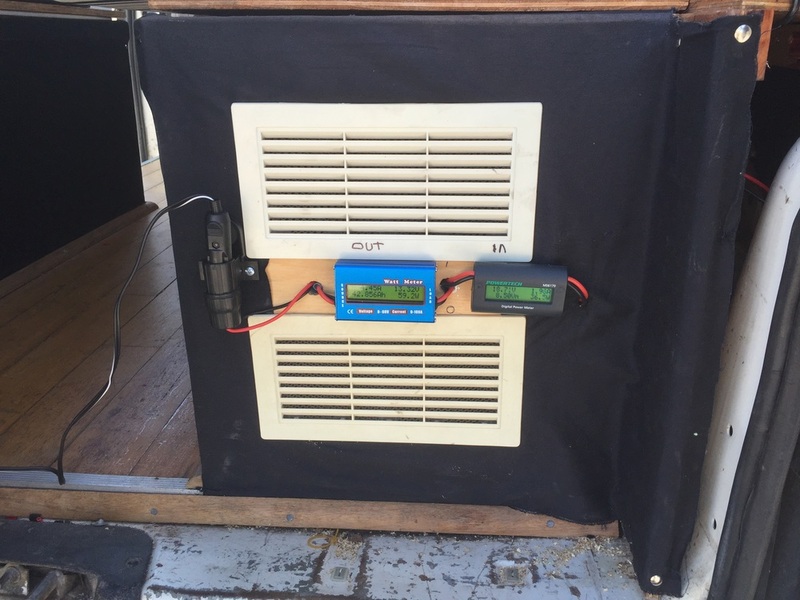 The final project was the adding of two digital meters for solar input and one for output to keep an eye on usage. With the rewiring of the system I now have 3 12v cig sockets in the front and one in the rear all running off the house battery. I needed more other wise I would need to keep unplugging the 12 fridge to charge my phone or run a 12v fan. I recently uploaded a new video to show you the progress since the last video. Finishing the interior upholstery, moving from gray vinyl to a dark blue interior that is really nice and gives a warmer feeling. Additionally we have received the mattress covers for the folding mattress that forms the bed of the van as well as curtains to block out the light. The large Fiamma wind out awning was installed that doubles the living space as well as allows outdoor cooking.